A-1 Pumping & Excavating takes great pride and care when installing a septic system. It is important to us that the homeowner is involved in all steps of the process. We want to be sure that the system is installed in the most optimal area available on site. We also want our customers to be comfortable. Since we are also a septic tank cleaning company we will keep the tanks emptied during the process of installation so the homeowners can continue to use their facilities. Our installation expertise ranges from conventional drainage systems to engineered and alternative septic systems. No job is too big or too small for A-1 Pumping & Excavating. Our goal is to install the best system for your site and personal needs. Although soil testing is the first step in designing your septic system, our staff considers other factors as well including existing structures, future structures or additions, driveways, and landscaping plans. Upon completion of any required soil testing, our staff will apply for all necessary permits, and complete your installation in a timely manner using quality materials and experienced personnel. We hold great working relationships with our municipalities helping to best accommodate our customers. Having a properly installed drain field is crucial for your septic system to function effectively. Protecting our environment is also very important to A-1 Pumping & Excavating. When determining the location of the drainfield installation we make sure that the soils will properly treat the septage, as well as having an awareness of streams and underground water sources. For expert drain field installation in the Sioux Falls area, call the septic specialists at A-1 Pumping & Excavating. 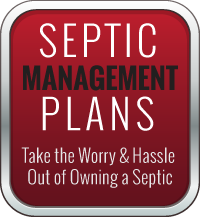 We understand every working part of your septic system from the importance of the location of your septic tank to checking the levels of healthy biomat. We are a full service, fully licensed plumbing company and we specialize in septic services, as well as drain field installation. Although most homes are built with a septic system included, some older homes may have a damaged septic tank or lack one completely. Repairing an older home by yourself can give you a sense of pride and accomplishment and save you a lot of money. But a septic tank installation is something that should always be handled by an experienced and reliable technician who is certified and insured to work on septic systems. Over time steel septic tanks develop rust and form holes resulting in a failing system. It may be possible to replace just the tank and then reconnect it to your existing absorption field. This may mean a significant amount of savings for you! 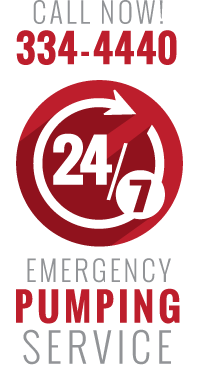 Contact us today and let us prove to you why A-1 Pumping & Excavating is the only septic service provider you will ever need!